Every time you hear “Women Deserve Better,” “Refuse to Choose,” pro-life feminist quotes originally researched and revealed by FFL, and increasingly woman-centered solutions, pat yourself on the back. You are the ones who believed in Feminists for Life’s pro-woman, pro-life message and solutions and who have invested to get the word out about the need to invest in college outreach, the poor and vulnerable populations. So let me give you the credit you deserve. Our message is being heard more and more — and is being repeated. Some of it is good news. Others will make you sigh. Between the two we know we are succeeding but we have so much more to do. March forth! 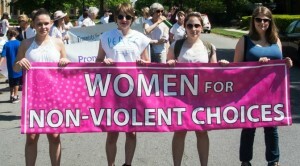 • In advance of the March for Life in Chicago, Feminists for Life’s Women Deserve better message infuriated a group appropriately named “Furie” who support abortion. Because the Chicago Reader chose to include the venomous and foul language of Furie organizers, we are not putting out a link. FFL President Serrin Foster urges readers to remember the pain that has been caused by abortion and that it is often manifested in anger. Please remember to refer women to Project Rachel and Rachel Vineyard. • Zoe Romanowsky interviewed Serrin in advance of the Roe anniversary to discuss where we go from here in Aleteia (which is Greek for “truth”) magazine. • Also in advance of Roe events, Kathryn Jean Lopez echoes conservatives who have embraced our feminist message that “women deserve better” message in “Standing up for Women and their Children” for the Houston News. • [Jewels] Green, who served as editor of The American Feminist magazine for Feminists for Life, told Cosmopolitan magazine in an article titled, “March for Life’s new message: ‘Pro-Life is Pro-Woman. '” that pro-life feminists existed before Roe. V. Wade and have worked to keep the focus on meeting women’s needs! • Another article in Live Action News supports that opinion piece. 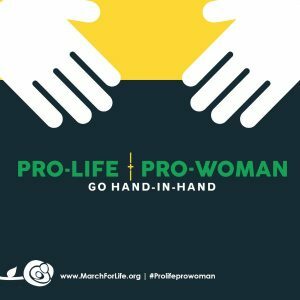 “Yes, you can be a feminist and pro-life!” based on FFL’s original research about the early American feminists and an interview with FFL President Serrin Foster about how the feminist movement was hijacked and more. Our pro-woman call-to-action resonates overseas as well.